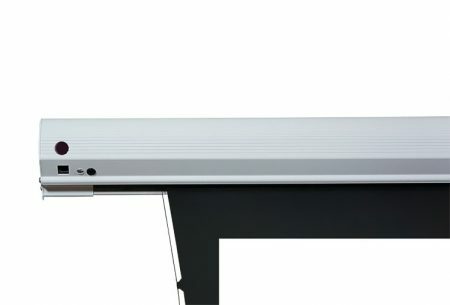 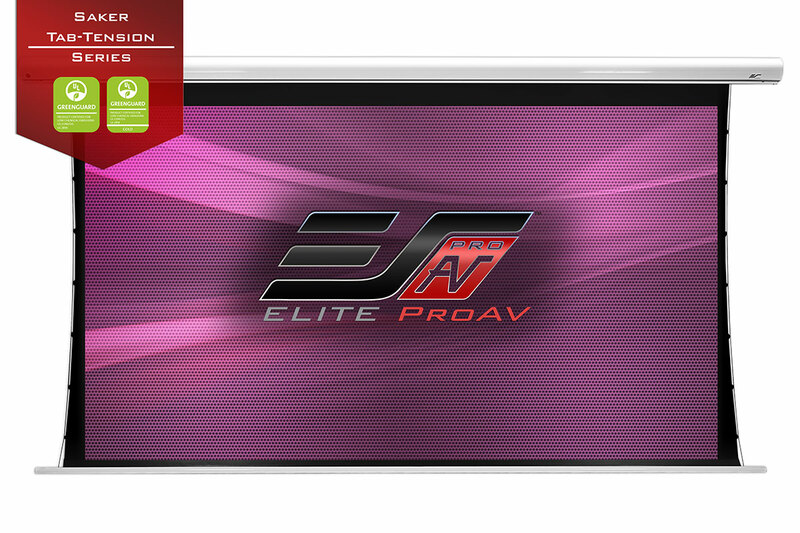 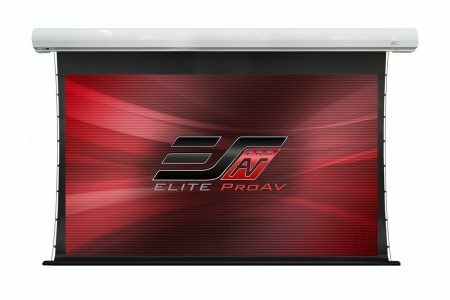 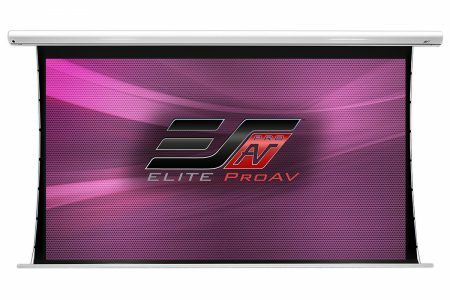 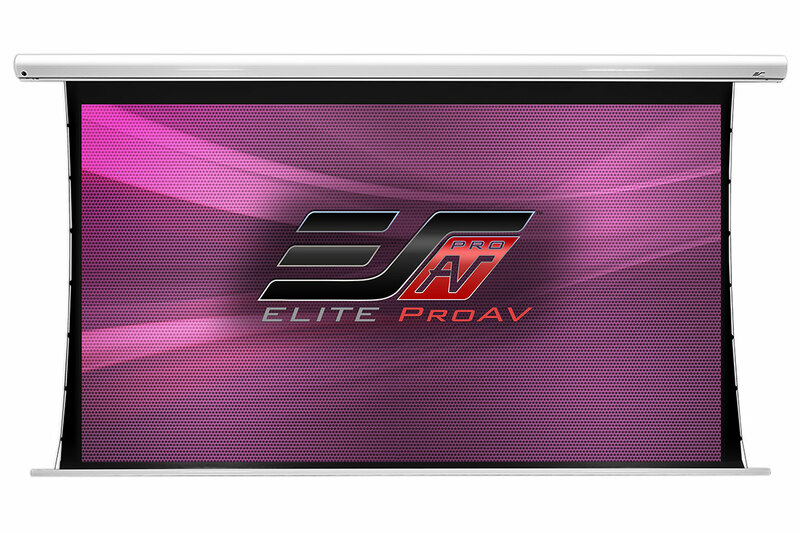 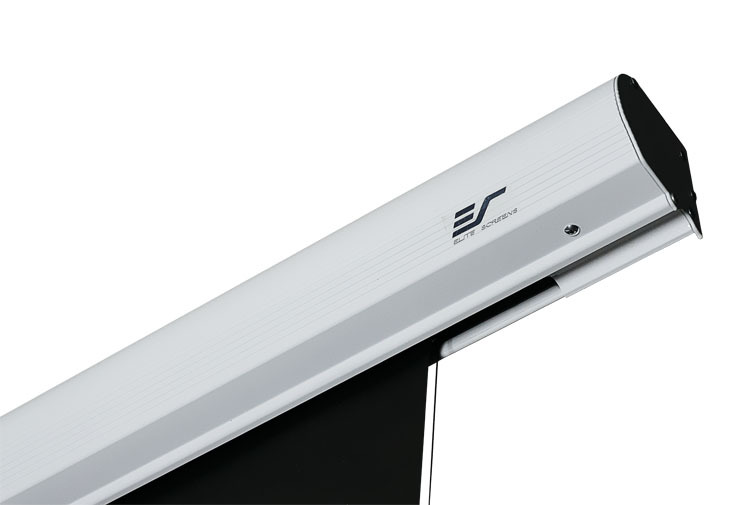 Saker Tab-Tension Series - EliteProAV - Providing an array of dedicated commercial grade projector screens to professional integrators. 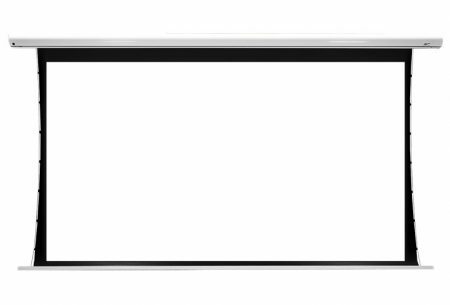 The Saker Tab-Tension Series is an electric projection screen draped with our MaxWhite® Fiberglass front projection material that provides excellent color uniformity with a wide viewing angle. 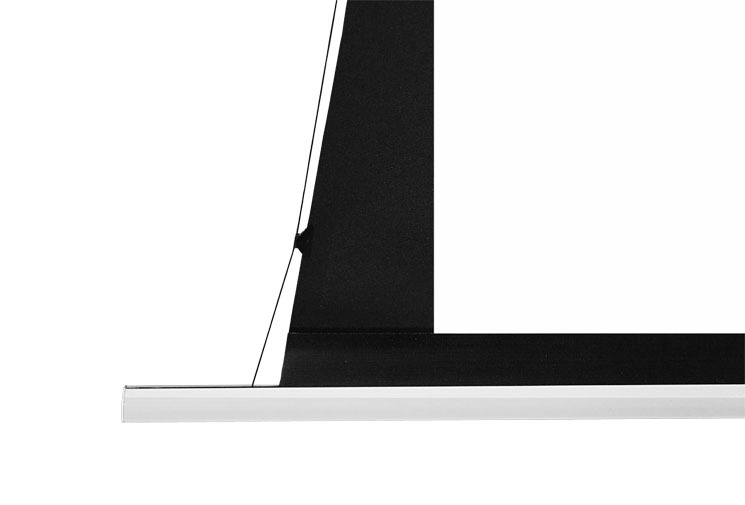 It’s tab-tension assists in keeping the material from curling on the sides. It includes a pair of wall brackets for a flush wall installation. 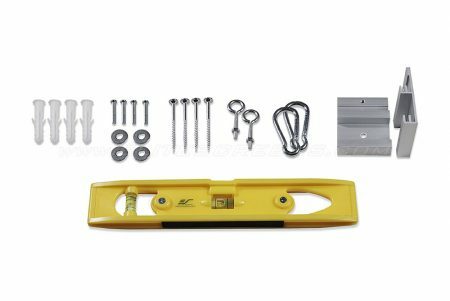 Also included is a pair of eye-bolt screws that attach to the top of the case for a suspended ceiling installation. 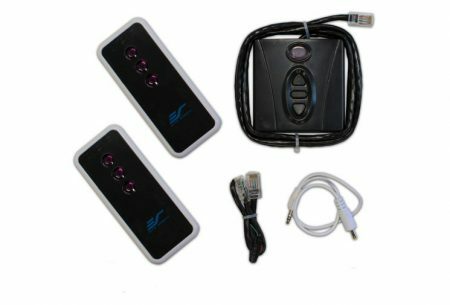 Standard features include a wireless 5-12 volt trigger, IR/RF remote control package, and a detachable manual keypad switch.